Click to shop the pajamas and everything else in the pic on the LIKETOKNOW.it app! 10 Things, 10 Days from My Due Date. 1 A few days ago, I had errands to run in town and went by myself. 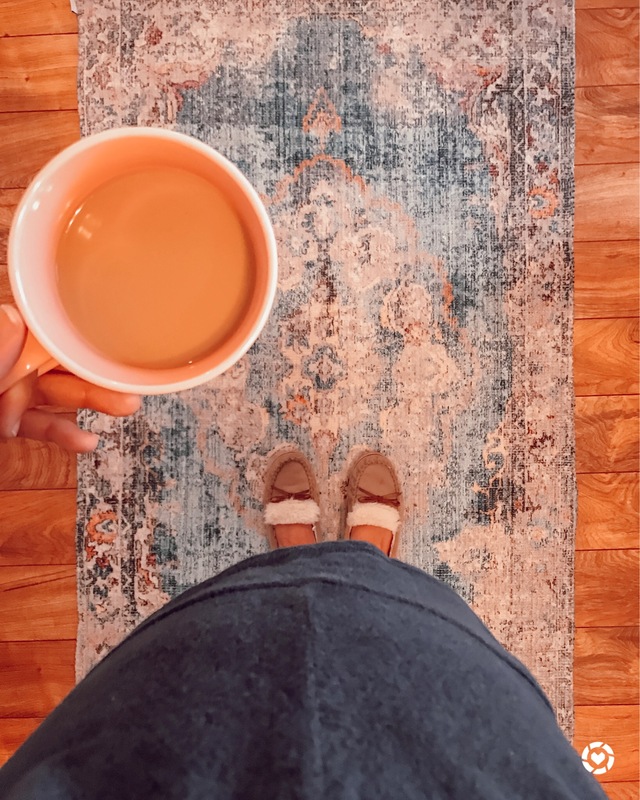 I started having some crazy feeling Braxton Hicks contractions and got really nervous. Oops. I guess maybe going out and about by myself isn’t such a great idea anymore. Especially with almost no phone battery. My mom met me back at the house to sit with me for a while and make sure it was nothing. Sure enough, just some practice contractions. But it sent me into a little bit of a panic mode – there were still things that needed to be done. We switched gears and started vacuuming out my car, then she installed the car seat, which I’m now convinced requires some sort of witchcraft or wizardry. Seriously, I could not uninstall the base from my back seat if you paid me all the money in the world. The world’s comfiest loungewear, and it’s not maternity. So, I look like Winnie the Pooh. Hence the angle. But without a bump, you could easily get away with it! Click either image to shop the look on my LIKETOKNOW.it profile! 2 I have been doing ALL the things to get this process moving along. I’ll spare you some of the details, but I’m now at the point where I’m willing to try things that are a little more “woo woo.” I’m just so uncomfortable. And thanks to my 38 week appointment and a highly invasive pelvic exam, we know she is head down and back to. So, what’s the hold up, girl? Mama is ready for you! 3 As if I needed a reason to go to Target, my mom and I decided that doing a few laps around God’s greatest retail creation would be a good way to get our steps in for the day. 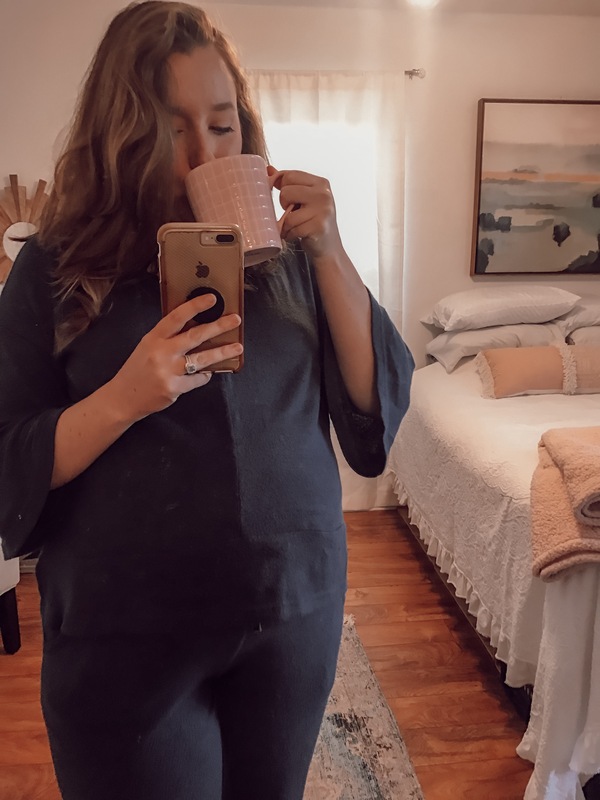 I found the world’s comfiest pajamas (really, their whole sleepwear section is a winner) and I’ve been on a mission to wear nothing but comfies since. Three days later and I still haven’t put on regular clothes. 4 It was a little bit last minute, but we decided to open up the Beaufort Proper Showroom for one last Girls’ Night Out before baby time. And I am so glad we did. We’re closing down for about a week in February so my parents can take a vacation and I can focus in on Annie B. Having the store filled with our regulars and some new faces made me realize how much I’m going to miss the hustle and bustle. February is such a slow time of the year anyway. Mama’s girl, ready for the squad to roll up and tell her what a good job she did getting the store ready. She always takes all the credit. 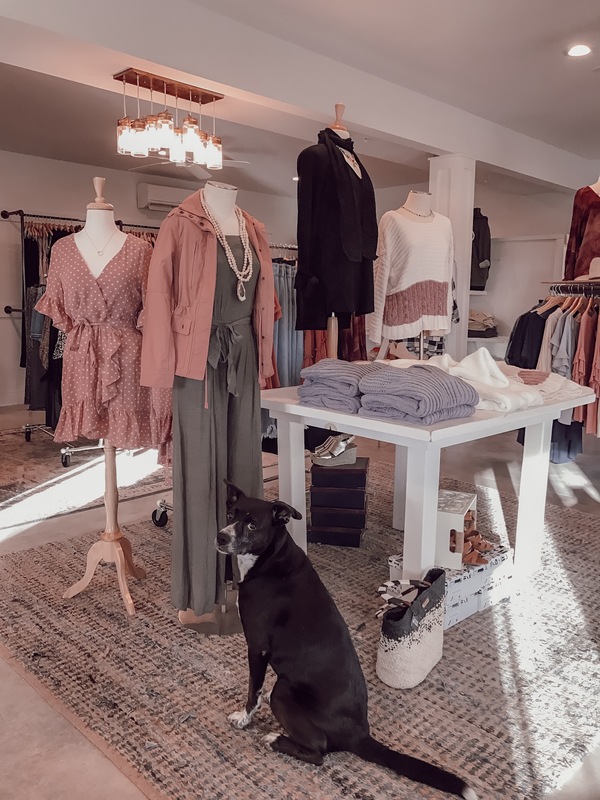 5 For last night’s show, I redressed all the mannequins in potential date night outfits to get ready for Valentine’s Day and preview some of our early Spring arrivals. Everything was blush and olive and soooooo pretty! There are so many things I want in the store right now, but I have no idea what my body is going to do after baby. I know that it takes time for everything to start… deflating? I can’t think of a better word to describe it. But my body has also changed in ways that I’m pretty sure will never go back. I don’t know what size I am in jeans anymore. After all, my bones changed! I was thinking that, as a means of holding myself over until then, I would put together a post of outfits I can’t wait to wear after Annie. Maybe I’ll even throw in a Beaufort Proper discount code for y’all. Who knows? 6 I really meant it when I said I was going for an all-pajamas, all the time look. We’ll call it loungewear, because that makes it sound a little more acceptable for work. But for last night’s show, I wore a couple of my Target finds, paired with my PinkBlush maternity lounge pants and our Blogger flats from the store. To my surprise, I got a lot of compliments. 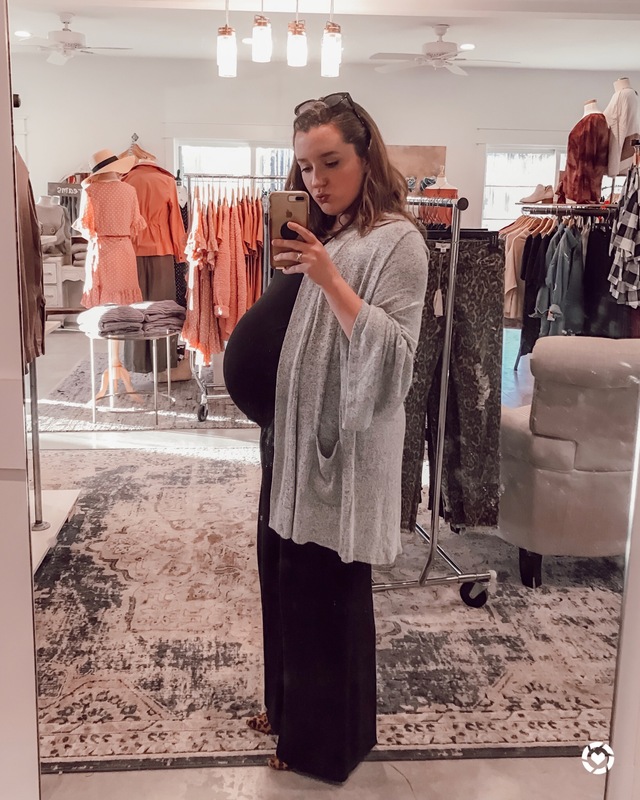 Was it just because I’m pregnant and swollen and people felt sorry for me? Possibly. But I felt like a queen, and I was comfy all night. So, nothing else matters. Loungewear chic? Maybe I don’t recommend wearing this to work unless you work for yourself. But I would highly recommend wearing it on the weekends because COMFORT. Click to shop the look on my LIKETOKNOW.it! 7 If you read my post about getting inspired to redecorate our master bedroom, it’s going really well! The hardest part is deciding which parts of the room I already love, and which parts should be replaced. So far, I have new chambray euro pillows, and I started a new painting to go over our bed that is turning out SOOOOO much better than I even anticipated. I’m seriously psyched to share everything, but I have a couple bigger ticket items that need to be tended to before we get there. 8 This week marked the end of freelancing for me until after my self-induced maternity leave. It feels very weird to give yourself maternity leave, especially without necessarily knowing when things are going to start back up. It’s like taking a nap during the day without setting an alarm. Maybe I’ll wake up in thirty minutes, maybe I’ll wake up tomorrow. Who knows! I still have things to do on the computer to wrap up a few projects, but I’m officially done traveling out to shoots and visiting clients, which feels like a big relief. 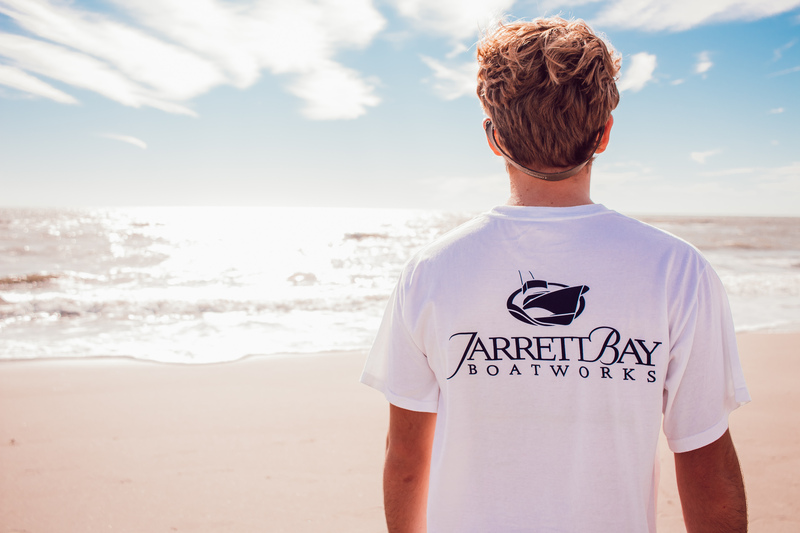 The last shoot that we did was right before it got cold here, out on Atlantic Beach for Jarrett Bay’s Spring line. There isn’t a single picture from the entire day that I’m not totally obsessed with, but I can’t share most of them! The line won’t be released for a couple more months. Since I’m incredibly impatient and can’t stop staring at them, here’s a very vague looking picture from that day that happens to be using one of the classic, year round designs. I seriously could not have asked for more perfect weather! Although, our models were a little chilly, pretending it’s Spring in Atlantic Beach when it’s actually January. 9 I have big ideas for a product launch in 2019. But here’s the thing – I’m also not trying to put a great deal of pressure on myself to get it done super soon. Spending time with Tanner and the baby and finding our groove should be the top priority. I’m a part of some really great groups on Facebook who have given me so much feedback to work with. Getting this started is going to be no cake walk, but I’m freaking PSYCHED to share. Soon. Before y’all start getting bombarded with baby pictures (you either love em or you hate em!) I just wanted to say thank you. I get so much positive feedback and encouragement on here surrounding our business, my pregnancy, and everything in between. It’s a huge pick me up on the days that are a little more challenging. "Getting Inspired to Redecorate Our Master Bedroom"